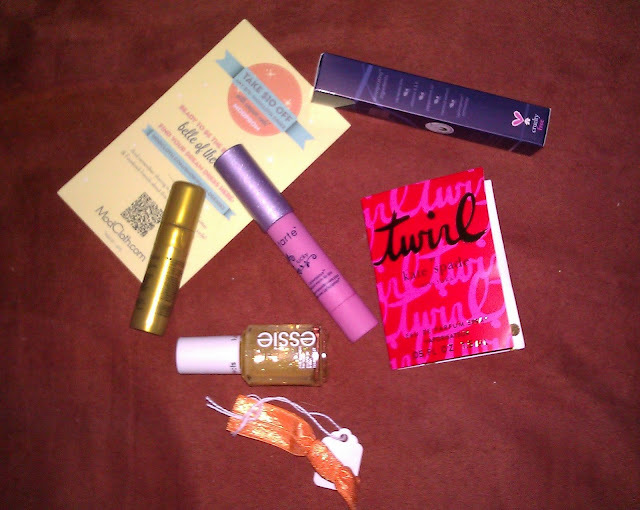 March’s Birchbox is pretty exciting because I was given the option to get my regular box as scheduled or opt out for this month and get the box full of goodies selected by the Teen vogue team. I haven’t been a teen for longer than I’d like to admit but I wanted to shake things up and see what our friends at Teen Vogue came up with, I wasn’t disappointed. If you are not yet familiar with BirchBox, it’s a monthly beauty subscription service that is just $10 a month and you can cancel at anytime with no penalty. Based on a beauty profile that you fill out upon subscription, you will receive 4-5 deluxe beauty products a month. Sign up yourself or get more info at Birchbox.com. Essie Luxeffects Nail Polish-This is a glittery gold top coat that perked my base coat right up. Kate Spade New York Twirl Perfume-Bravo Teen Vogue! this is the first perfume I’ve gotten from Birchbox that I truly like. It’s a fruity scent that’s soft and pretty. I’ll be keeping this one in my purse. Kerastase Elixir Ultime-I won’t be able to try this one out until the weekend and I don’t want to waste a drop unnecessarily. Birchbox describes this as a nourishing oil to hydrate,smooth, and sleekify strands (yes they actually used the word sleekify). Tarte LipSurgence Lip Tint- This is a matte long-lasting stain that is actually supposed to boost lip moisture rather than drying them out. I was sent a shade called Lucky but unluckily for me, this shade of pink is much too pale for my skin tone and looked kind of chalky on me. Twistband Hair Tie-This is a snag-free elastic that is way too juvenile for me and the orange shade is blech but I’ll probably use it at the gym or in my house where no one can see me. I also got a $10 off coupon for a purchase of $75 or more on Modcloth. It’s supposed to be for a prom dress but since I’m way passed that milestone in my life, I have no problem using the coupon to get something else. 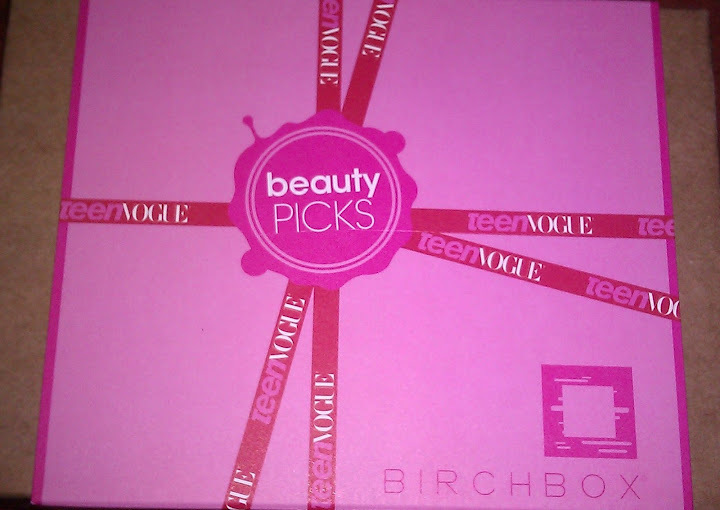 This box was fun, I hope Birchbox continues to team up with different companies and magazines to create exciting new boxes. I hope you liked my review, comments are always welcome! Thank you, I’m using a free theme but I personalized it to suit my personality. Thank you for the compliment.